We have tailored a number of services depending on your exact need. 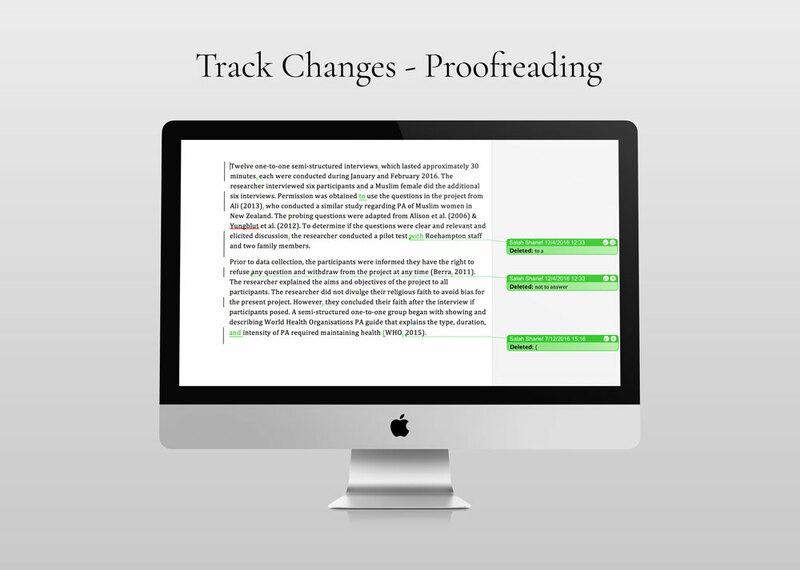 Professionals and academics may opt for proofreading, whereas editing is designed for university students looking to earn the highest grade. We’ve noticed that international students often get overlooked, and so we created a new service, paraphrasing, just for them. If you need assistance with your CV or cover letter, just scroll down below! Psst! Don’t forget that we also translate to and from Arabic! If you are a native English speaker with a good command of the English language and you are simply looking for an extra pair of eyes to cleanse your writing from grammatical and typographical errors, then this service is for you. 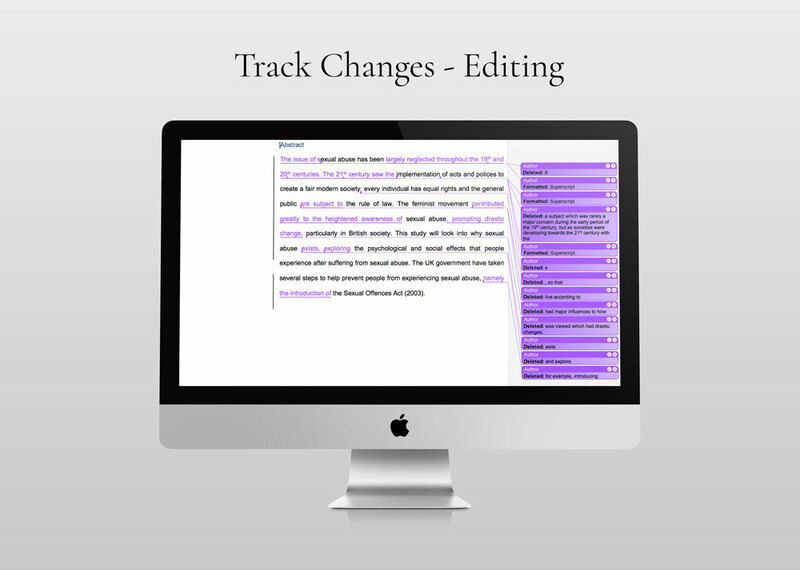 Function: Highlights and rectifies your spelling, punctuation, grammar and typographical mistakes. Result: Polishes your writing to perfection. 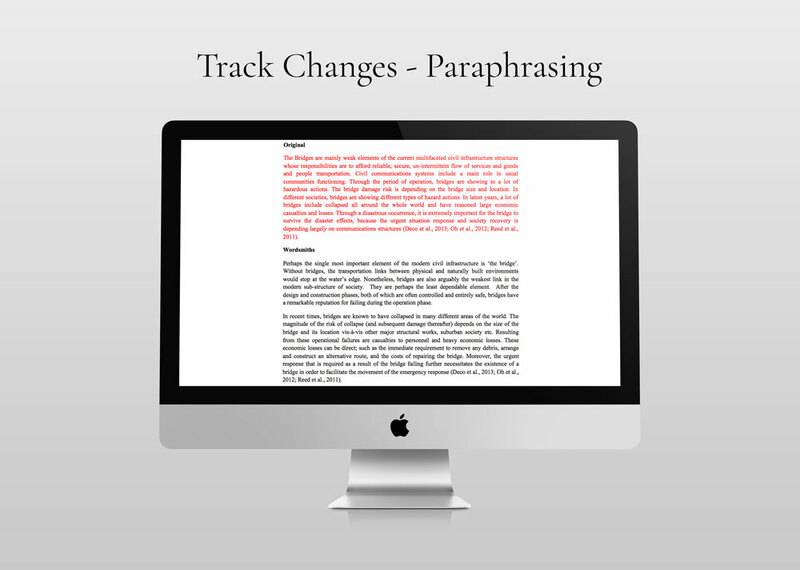 All changes are made using the word processing software known as ‘Track Changes’ on Microsoft Word. Function: Upgrades your vocabulary with eloquent words and phrases; reconstructs your sentences and paragraphing; enhances your writing style and tone. Result: Transforms your writing into a lucid, flowing, and coherent narrative. Function: Revamps your entire content and structure by modifying the vocabulary, syntax and structure of your sentences and paragraphs. Reforms and restyles all your ideas and arguments. Result: Completely revolutionises your writing with a pristine explication of your ideas and thoughts. Alongside our academic editing services, Wordsmiths also offers a professional CV and Cover Letter service, specifically tailored for individual professionals looking to secure their dream job. Our CV and Cover Letter experts know exactly what employers are looking for and can produce the perfect CV or Cover Letter specifically designed to make your job application stand out from the rest. All you need to do is send us all your personal information which you would like to be included as well as the details of the job you are applying for, and we will do the rest. The more information you can send us, the better it will be.